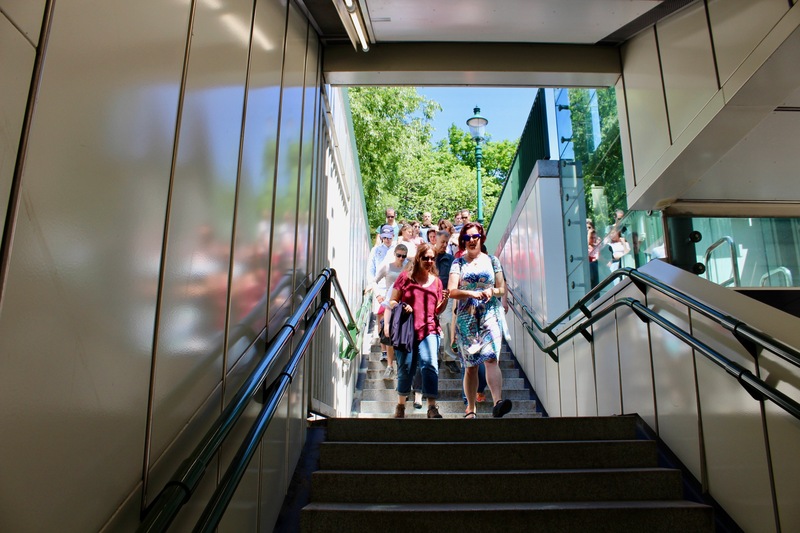 How should cities build the large infrastructure projects they need? 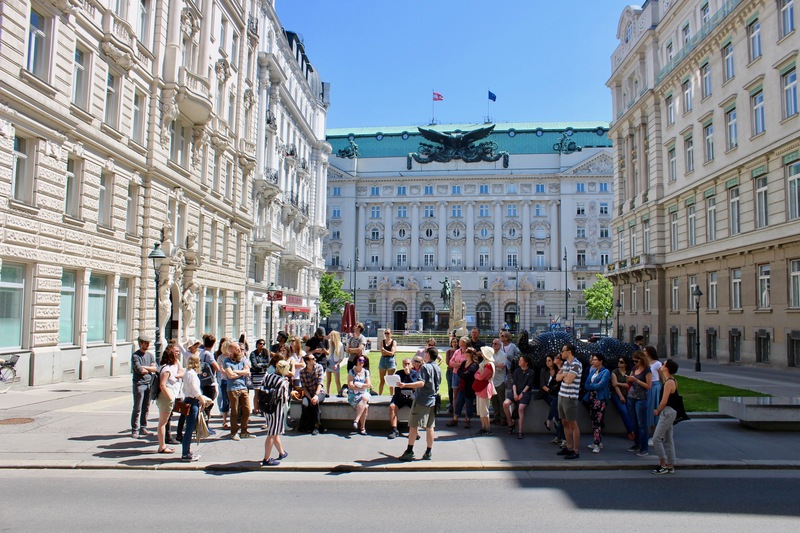 We’ll look at Otto Wagner’s work in Vienna and ask what we can learn from his solutions. 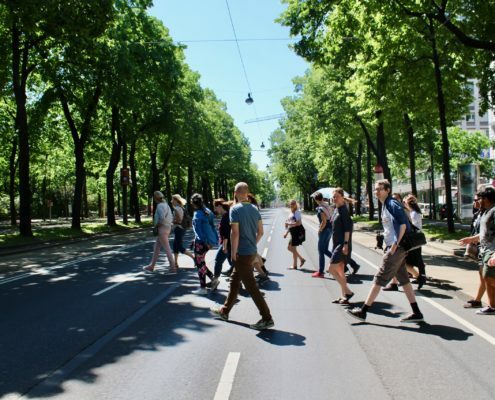 Jane Jacobs is famous for advocating small scale solutions to urban problems. 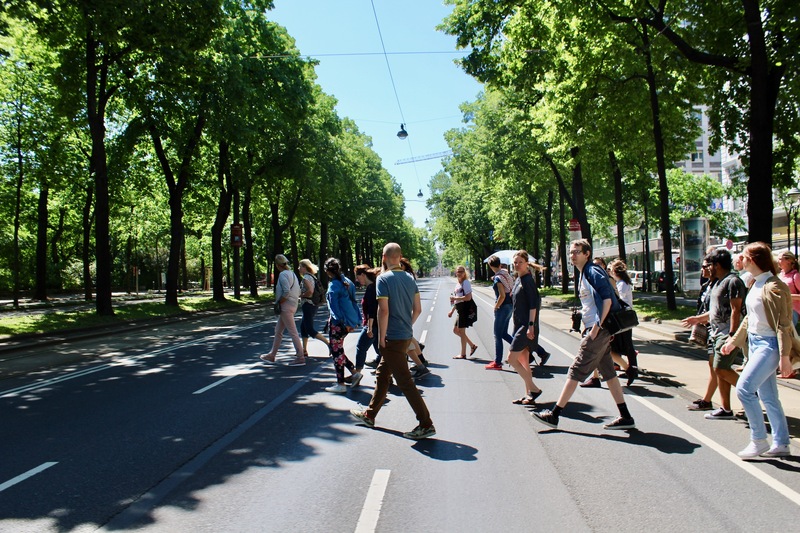 But cities need large infrastructure projects to thrive – to bring together the very people needed to provide her “eyes on the street” and “lively sidewalks”. 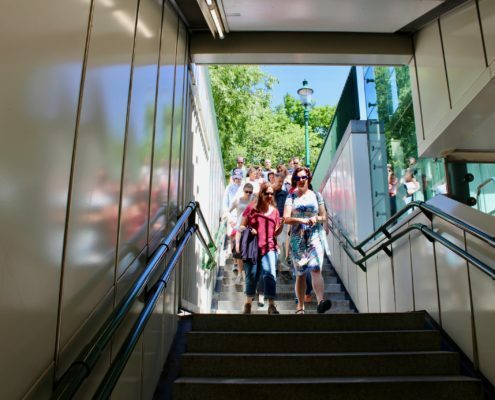 How can cities build these projects? 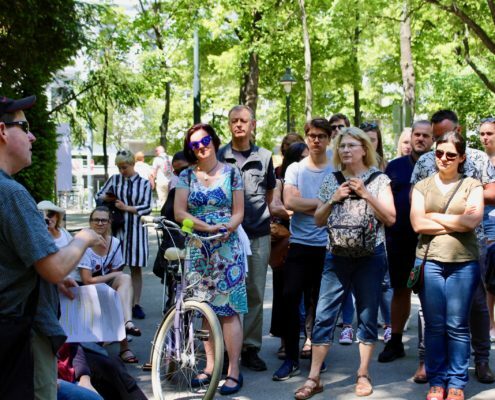 Jane Jacobs’ most famous fight was against the Lower Manhattan Expressway (LOMEX) – one of these large infrastructure projects planned for New York in the 1960s. 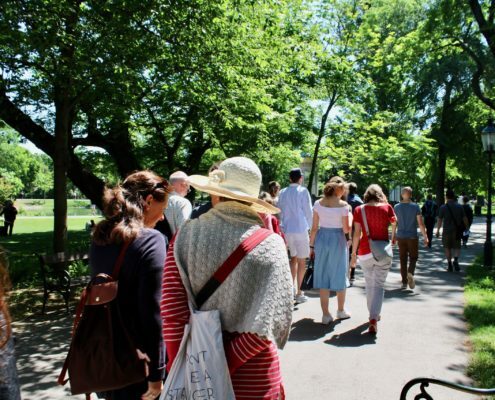 The LOMEX would have blazed a path of destruction through some of Manhattan’s most lively neighbourhoods including Little Italy and SoHo. 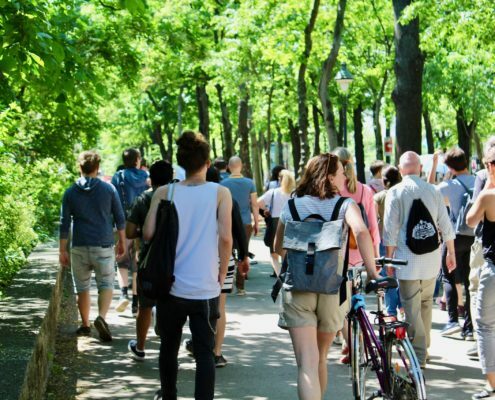 The highway project was spearheaded by NYs “Power Broker” Robert Moses who also built much of the infrastructure, parks and housing that make life in New York possible today. 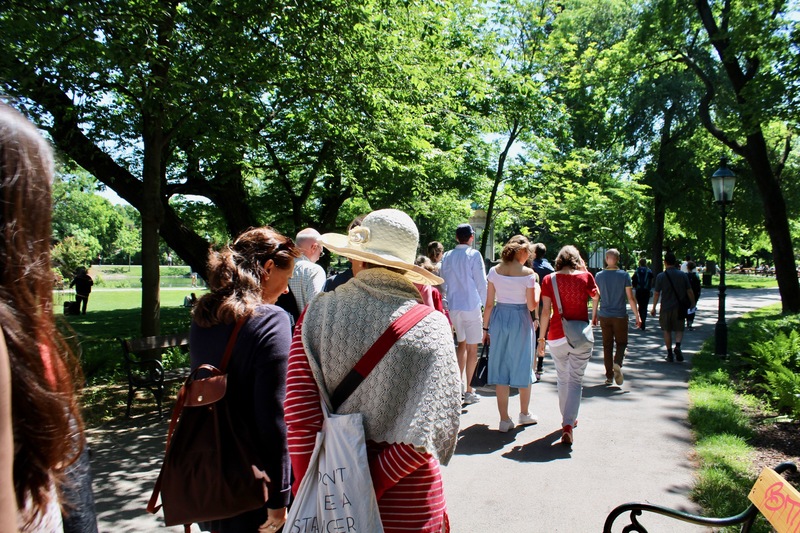 Jane Jacobs versus Robert Moses is a classic story – it’s even been made into an opera. 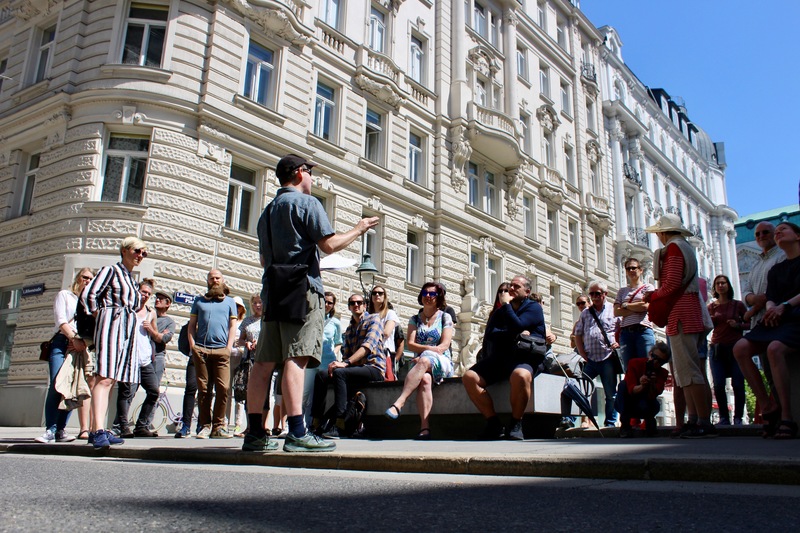 In the end Moses went too far pushing large scale solutions to urban problems, Jacobs mobilised people to reject this approach. 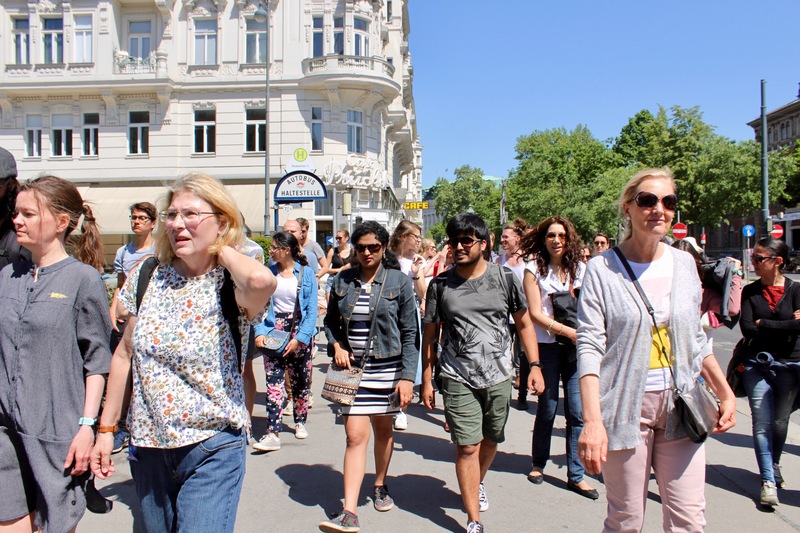 Today Jane Jacobs is recognised as a founder of small scale urbanism and neighbourhood activism, and this is what we honour with these Jane’s Walks. 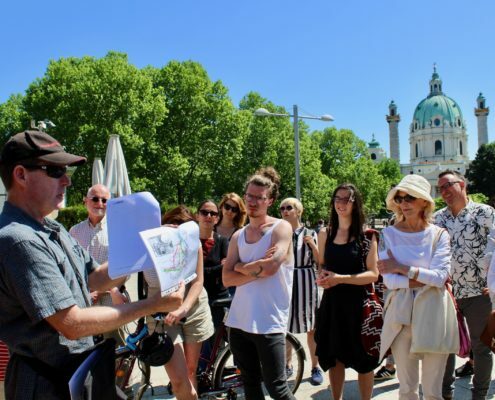 But, while small scale planning and activism is much needed, it’s also true that today, in many cities, it is (nearly) impossible to build any large scale project due to neighbourhood opposition. 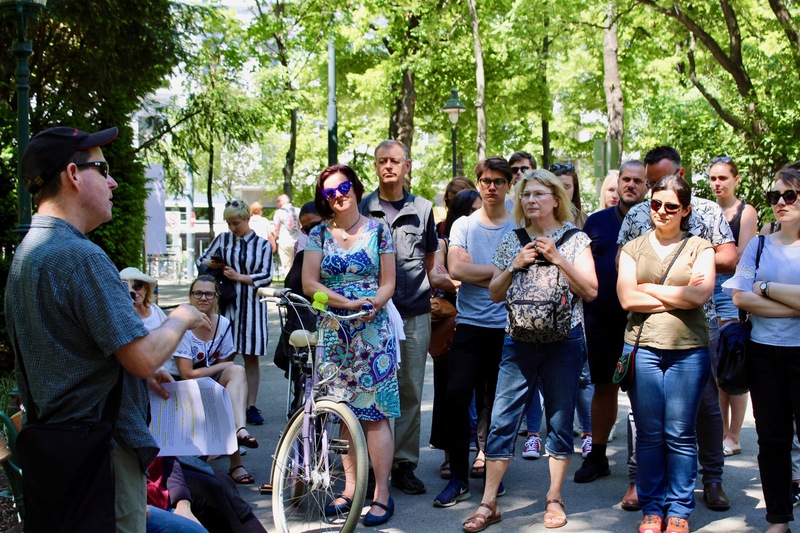 In short, the pendulum has swung the other way. 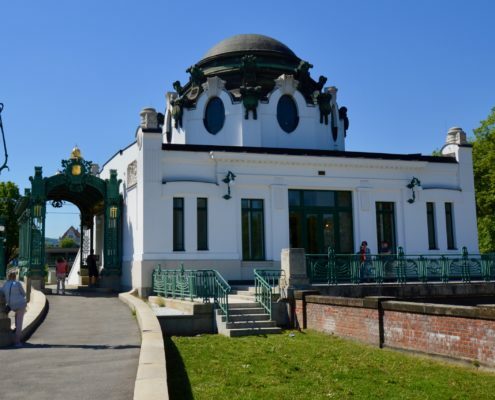 In the 1890s Otto Wagner changed the face of Vienna with his planning and designs for the Stadtbahn and Donau Regulation Projects. 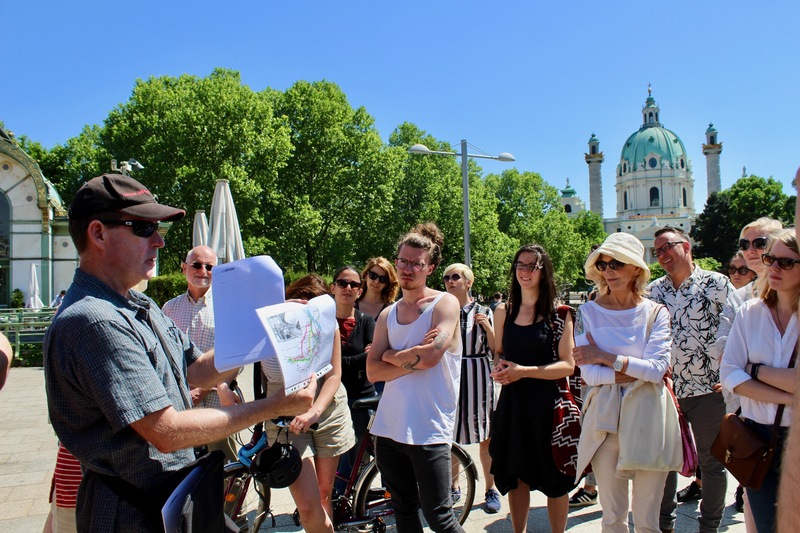 These large scale projects were and remain fundamental infrastructure for Vienna. 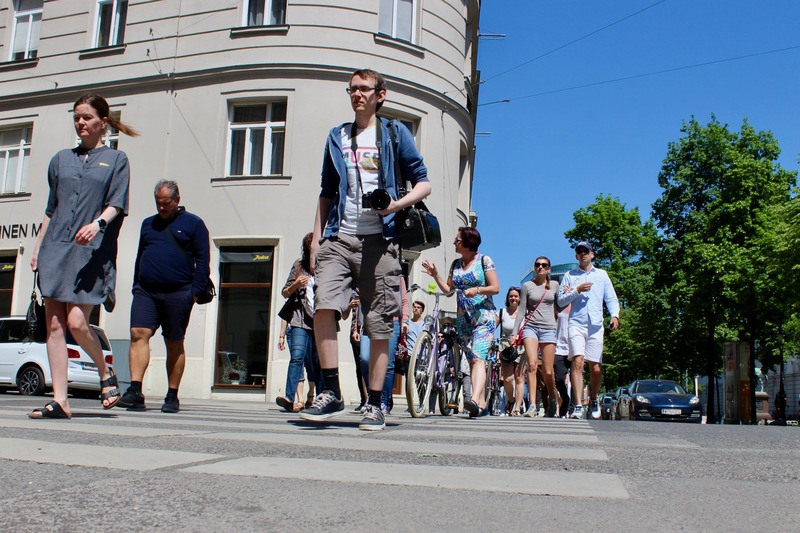 The city as we know it could not exist without them. 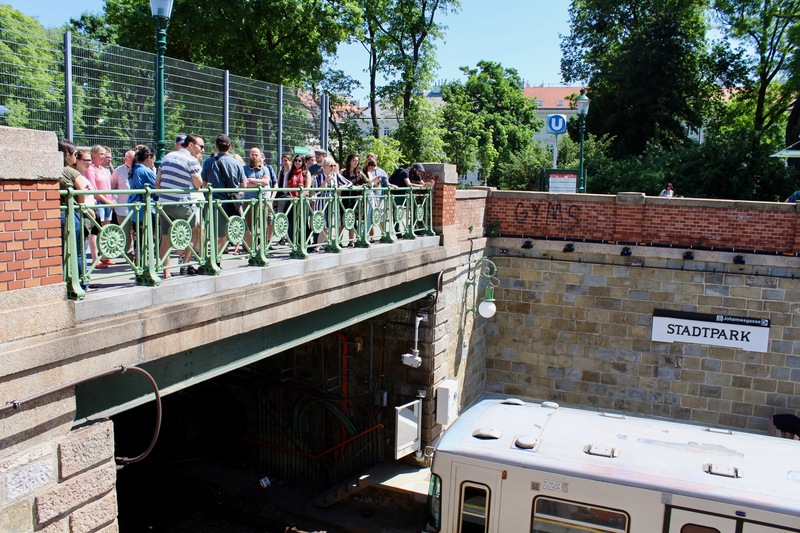 But, unlike urban freeways, they are works of art, contributing to Vienna’s vitality and livability. 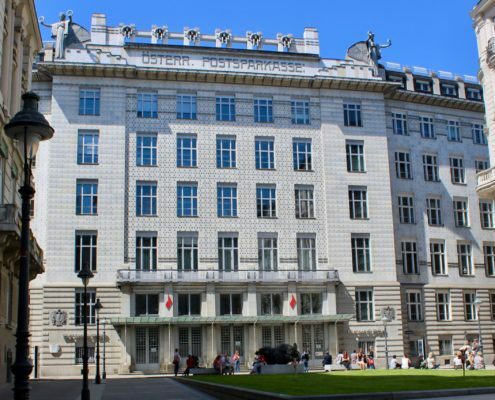 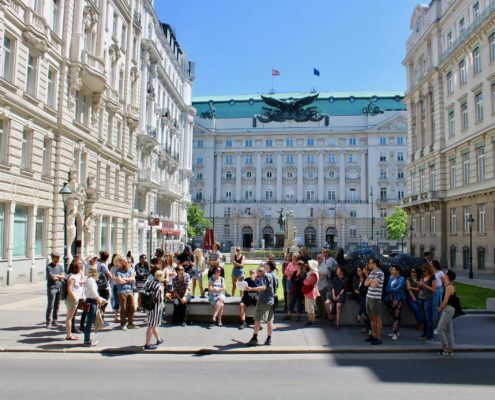 So, could we call Otto Wagner Vienna’s Robert Moses or Jane Jacobs? 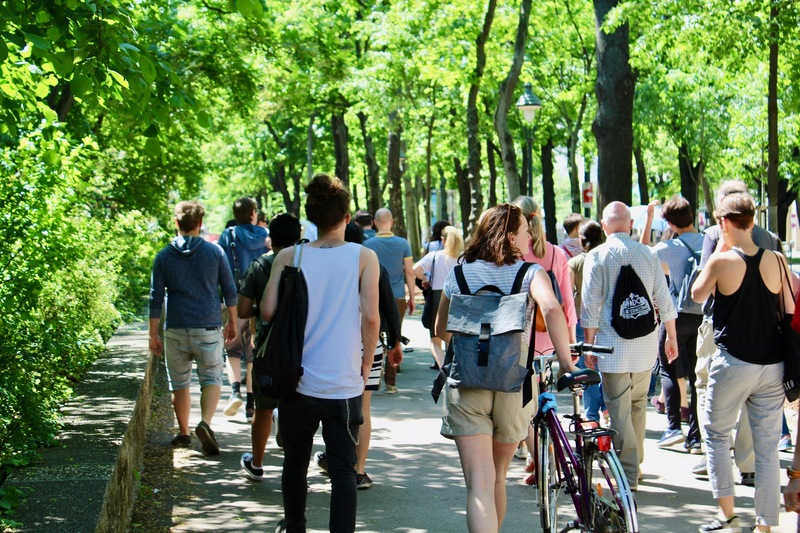 That’s the key question we’ll discuss in this walk. 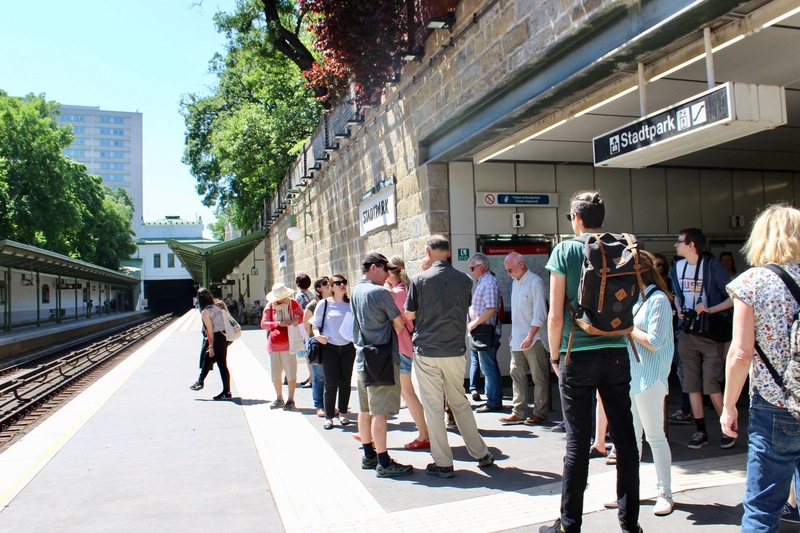 What can we learn from Wagner’s combination of engineering, city planning and architecture to help us build the infrastructure we will need in the future? 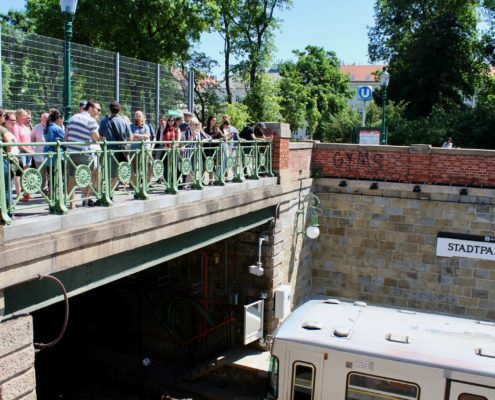 How does daily experience to Wagner’s designs while riding the U-Bahn affect us? 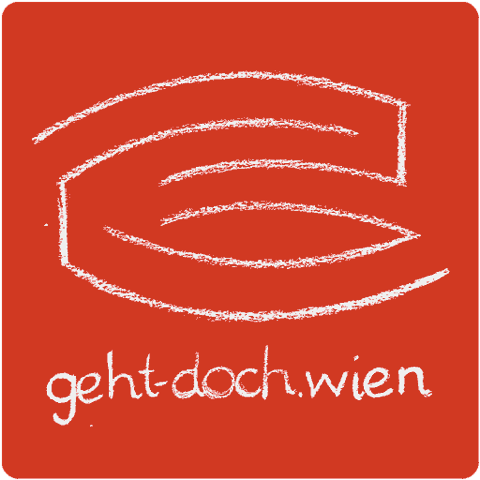 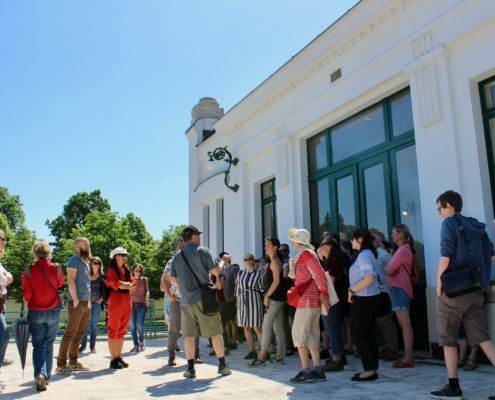 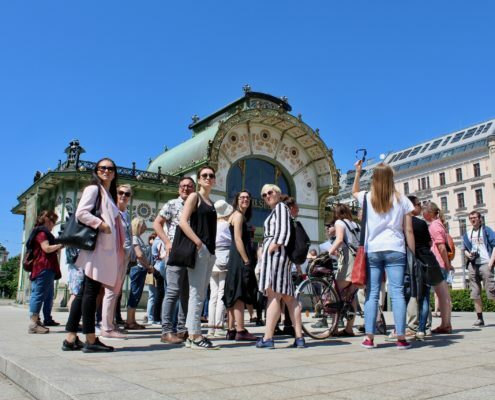 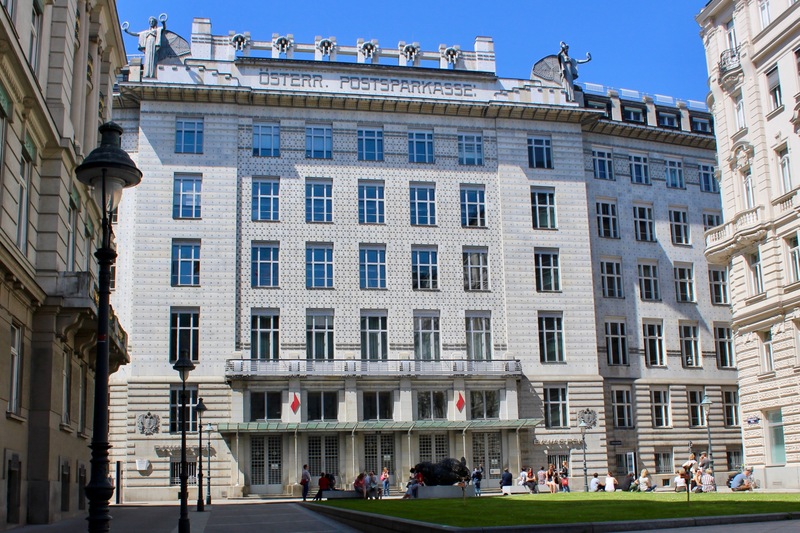 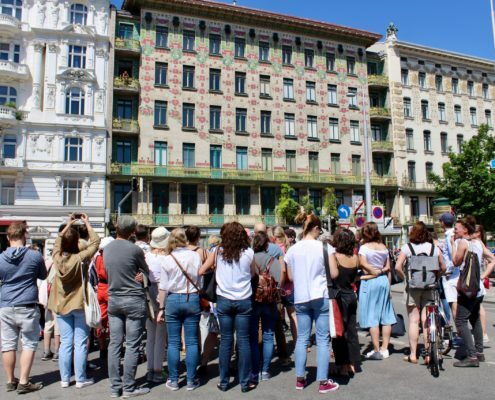 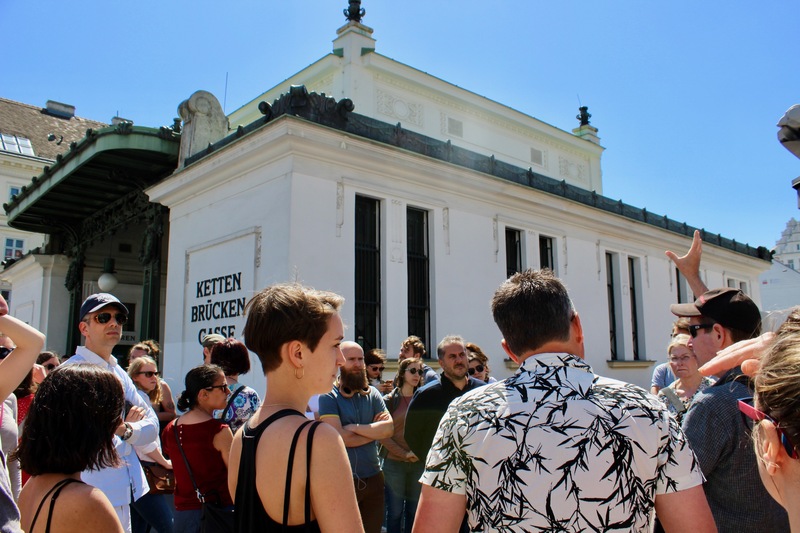 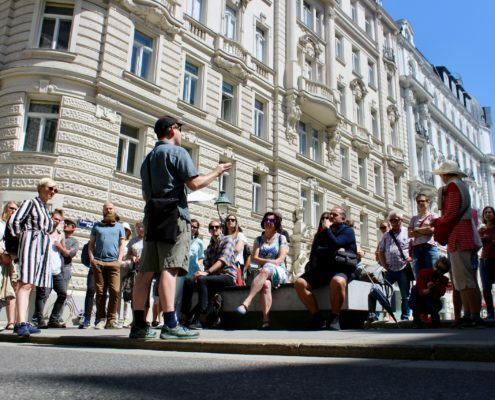 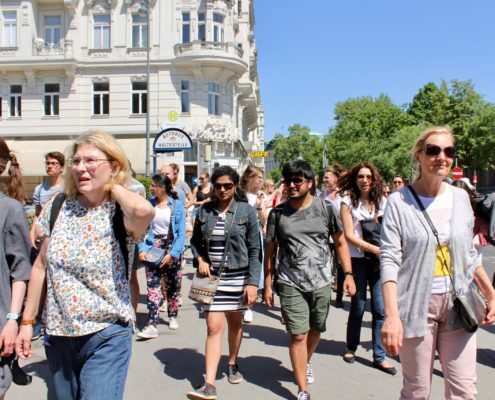 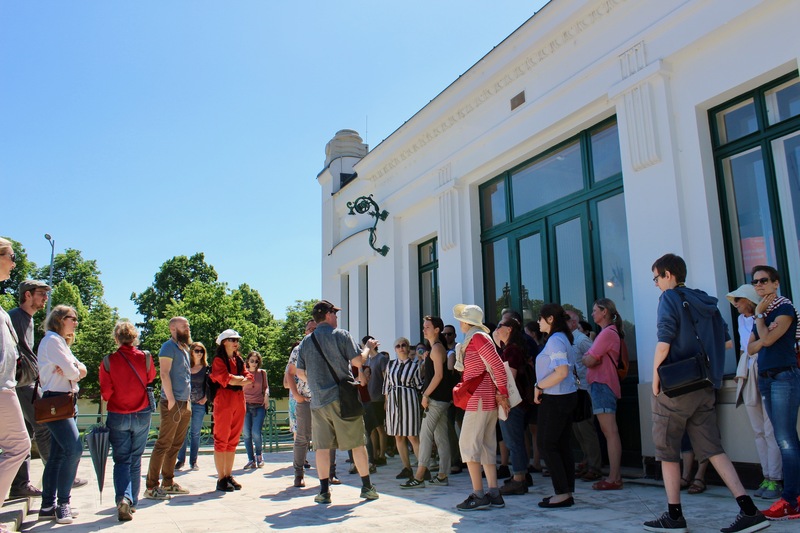 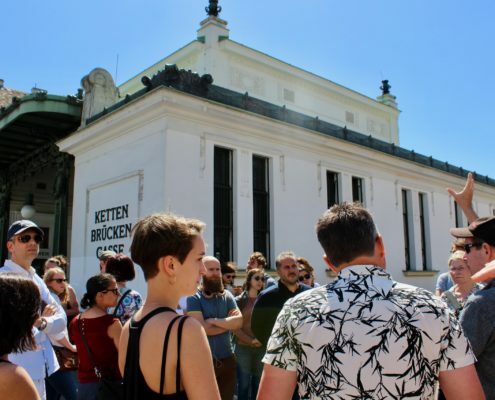 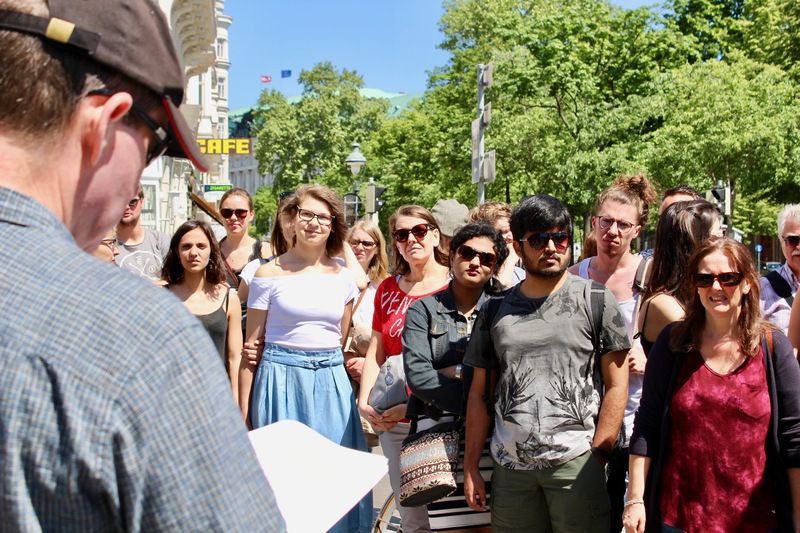 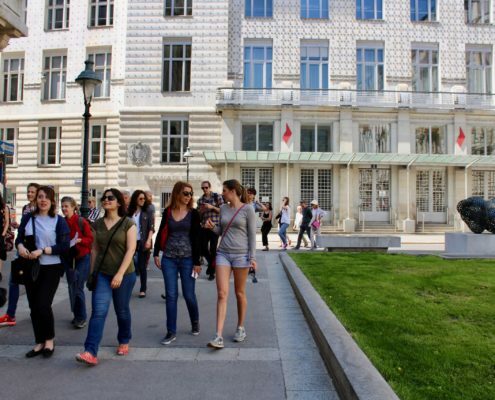 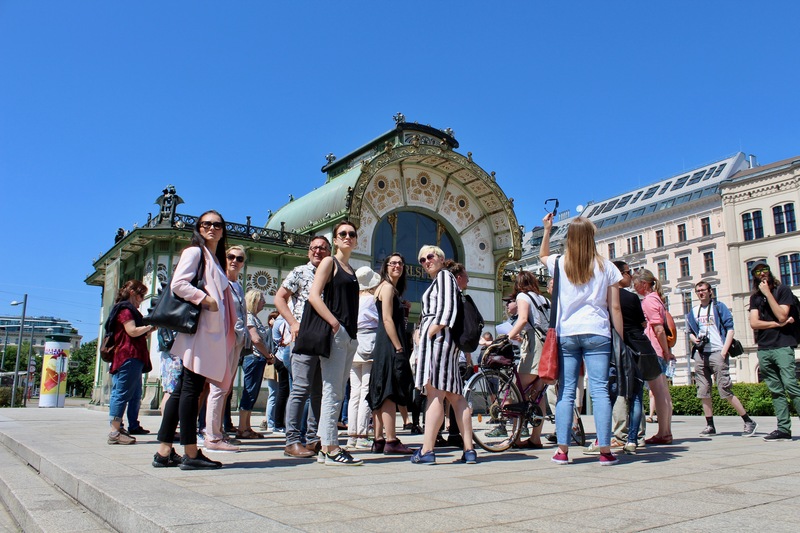 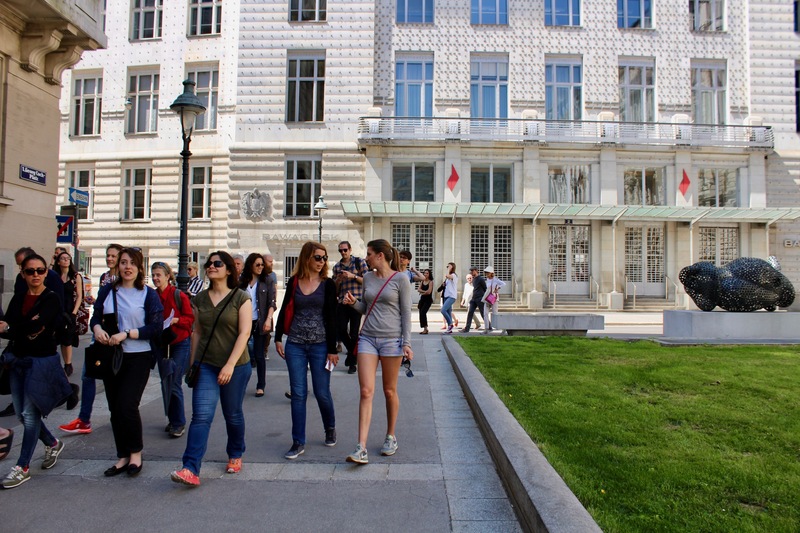 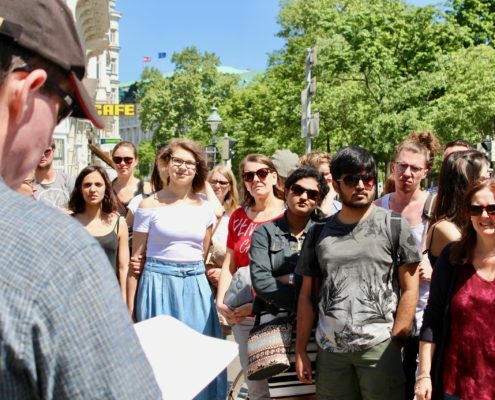 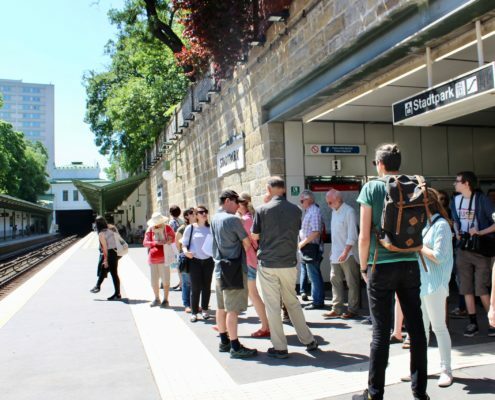 The tour will focus on Wagner’s city planning projects (Stadtbahn, Karlsplatz, Vienna General Plan) and three masterpieces of modern architecture (Postsparkasse, Linke Wienzeile Apartments, and the Stadtbahn Hofpavilion). 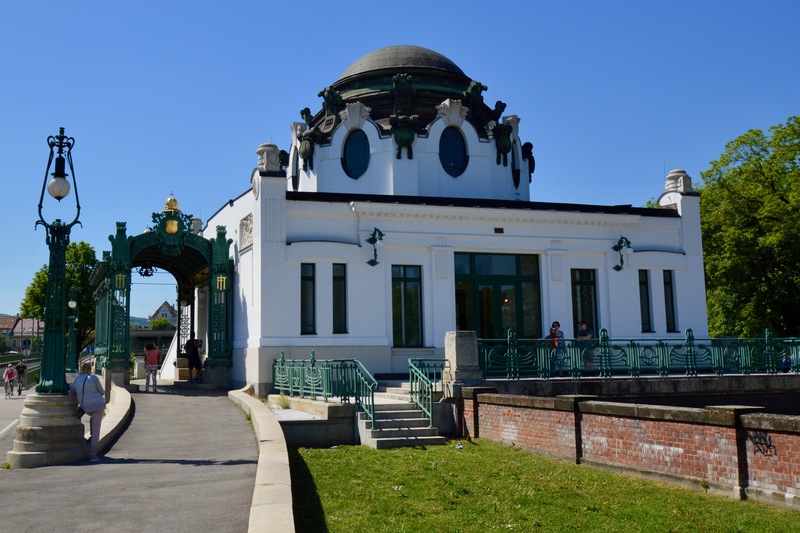 We’ll stop at the Otto Wagner Pavilion (Karlsplatz) and the Stadtbahn Hofpavilion (Heitzing). 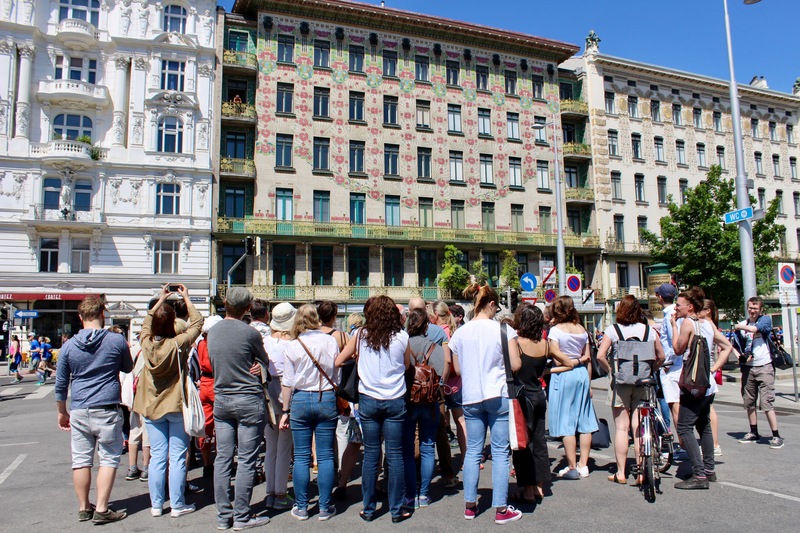 These buildings will be open during our tour, but they are very small. 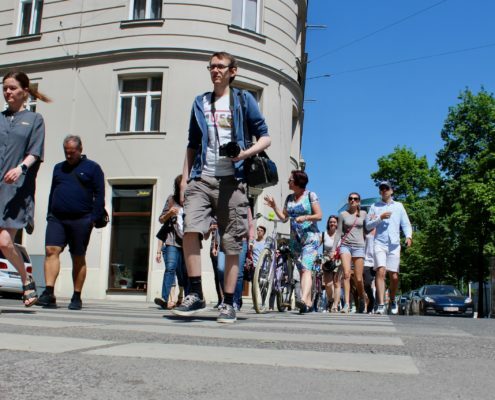 We’ll try to visit – in small groups – but it may be impossible due to crowding.